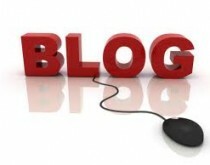 Before you write your first BLOG, here is some information you might find useful. Before we get to the mechanics, you need to think about why you want a blog in the first place and how often you’re going to put an entry up. We would like you to have your say and ideas and feedback on Amber Training and ATASS, write to us or even write your own blog and let us know what you think? We hope to display all blogs sent to us though of course all blogs will have to be checked for illicit content. Other than that the sky’s the limit!